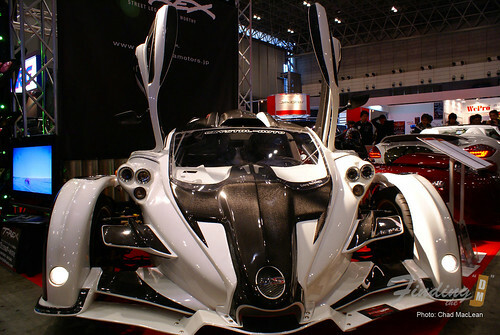 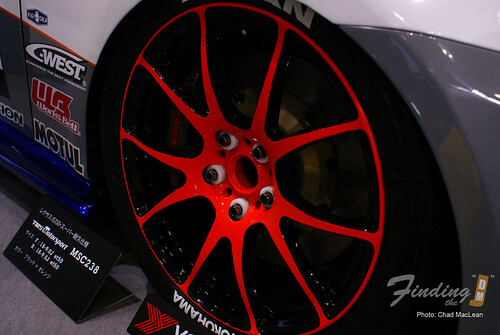 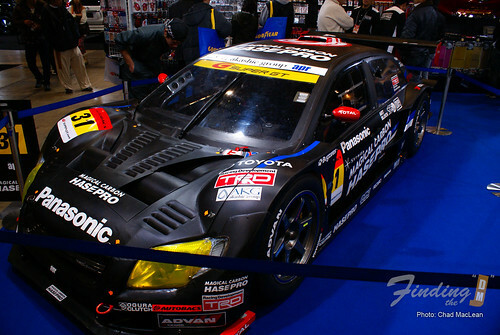 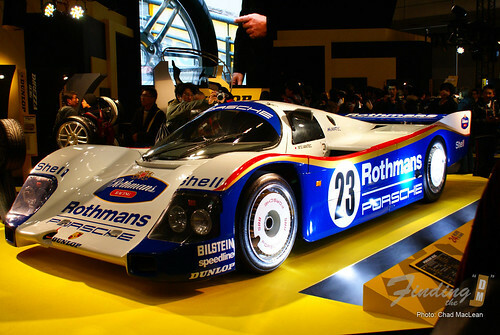 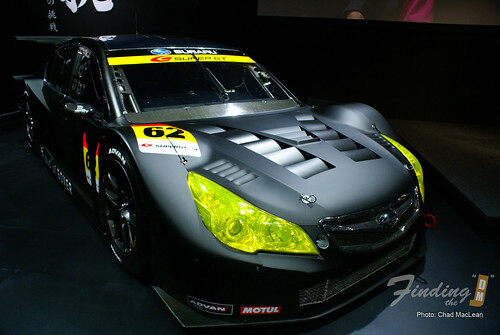 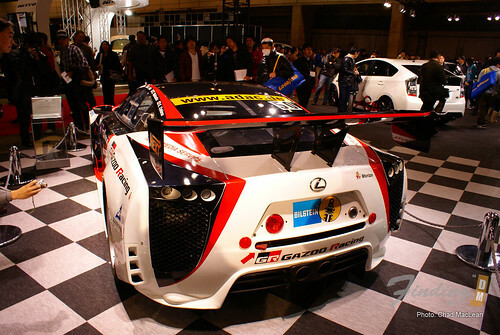 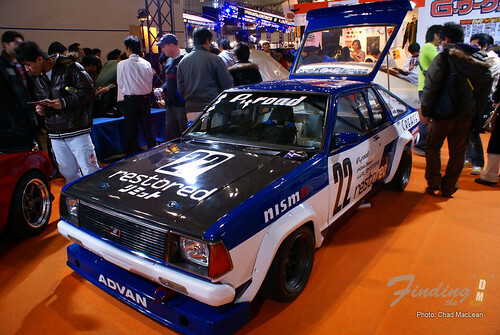 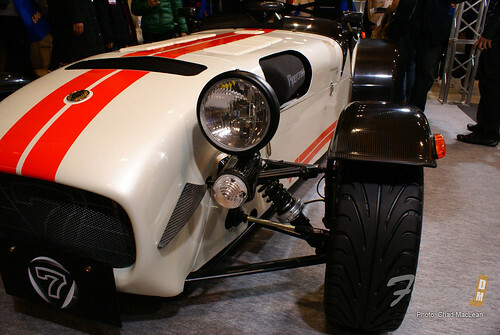 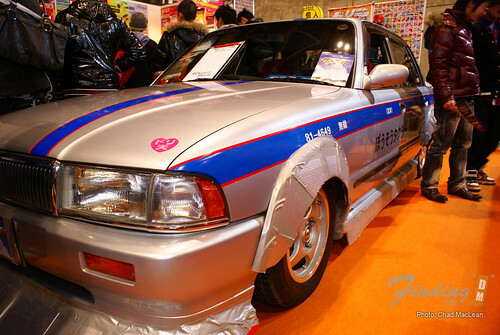 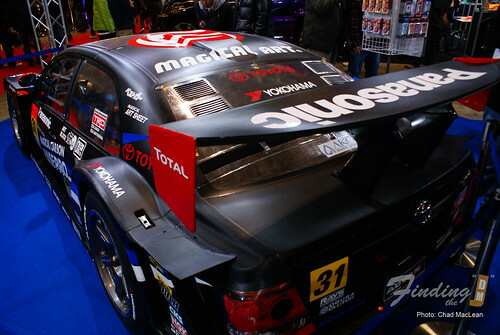 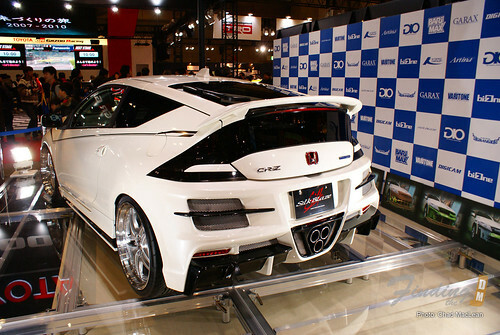 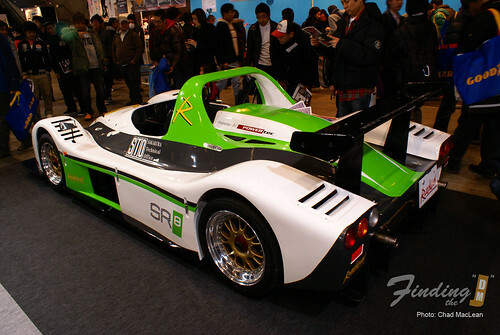 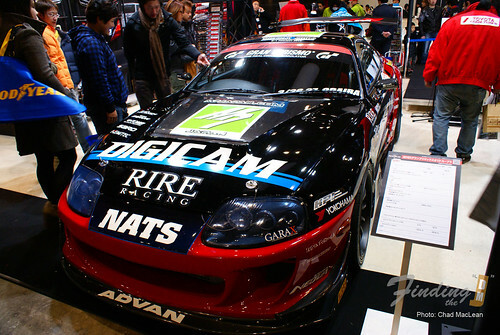 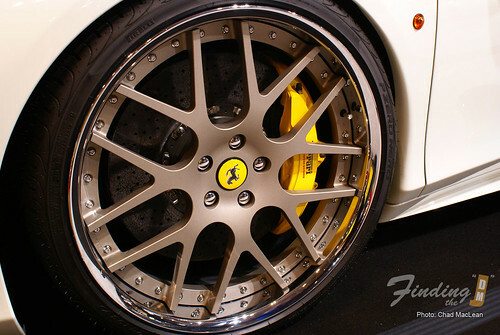 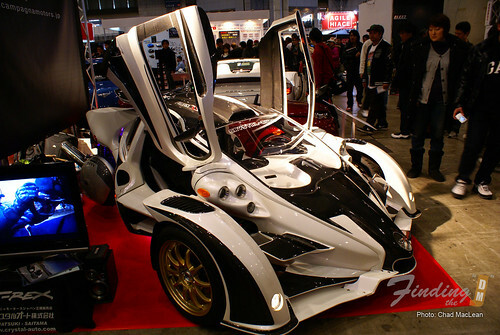 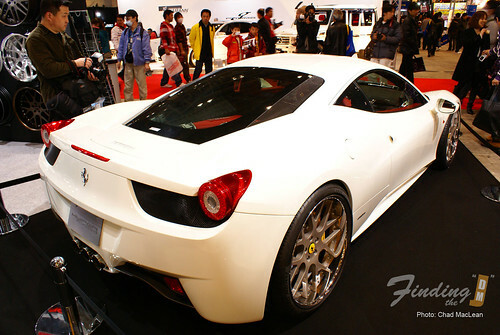 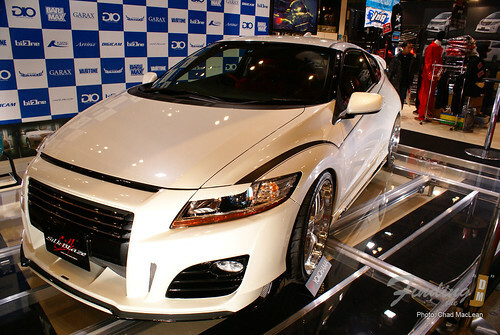 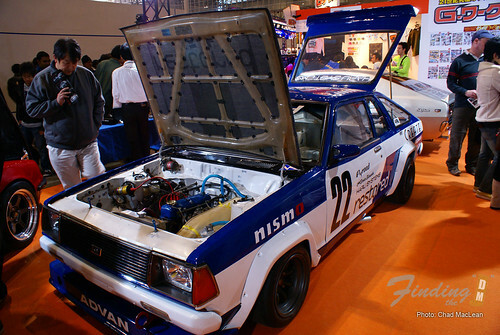 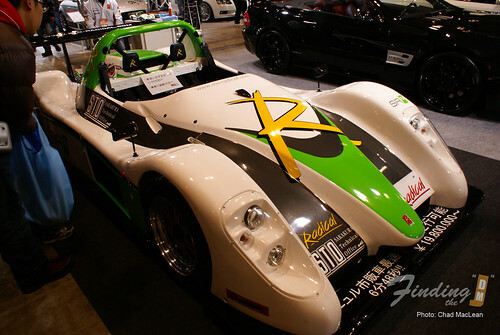 So finally here is the first part of our coverage of the Tokyo Auto salon 2011. 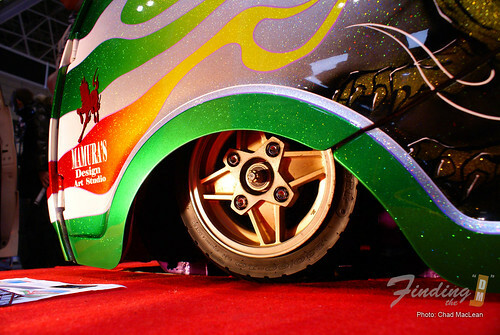 This year I managed to arrive early enough to enjoy the full show. 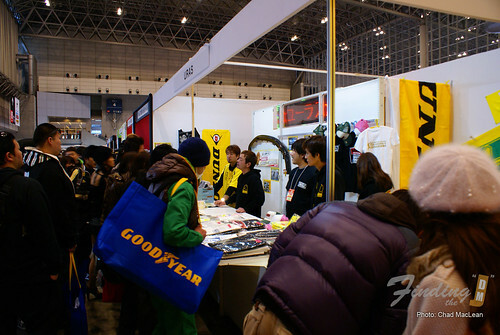 We ended going on Sunday which is the busiest day of the 3 days the show is open. 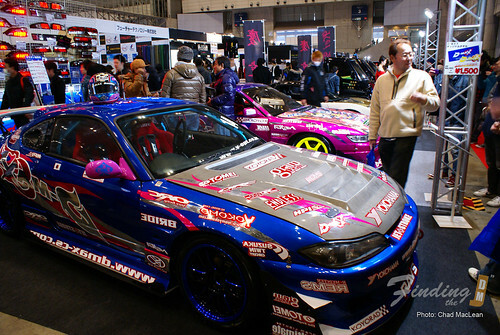 Even with the crowds, it was still quite enjoyable. 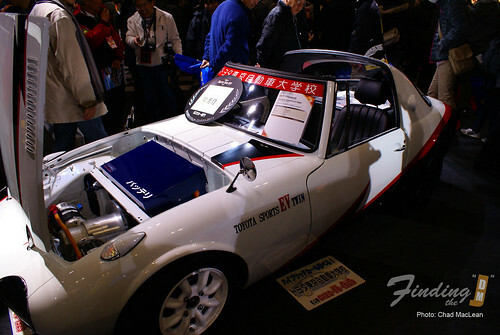 There were some repeats but for the most parts there was a lot of new stuff to see. 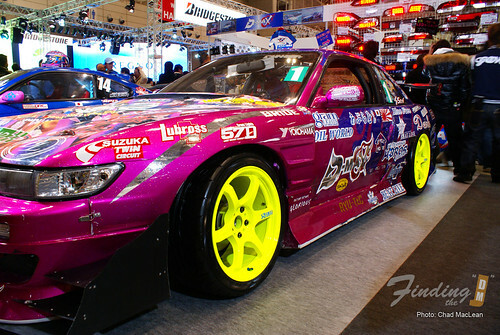 I got distracted talking to vendors and some shop owner that I completely missed the D1 drift events. 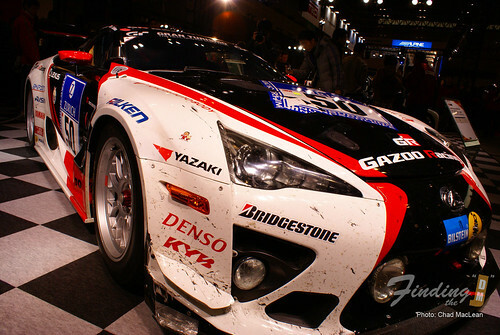 This is the second year I missed it so like I said then, “There`s always next year” . 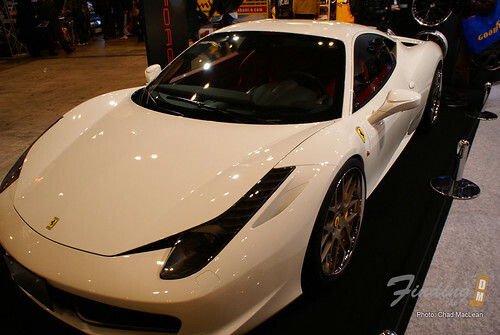 There seemed to be an overwhelming amount of Ferraris and Lamborghinis this year compared to last year. 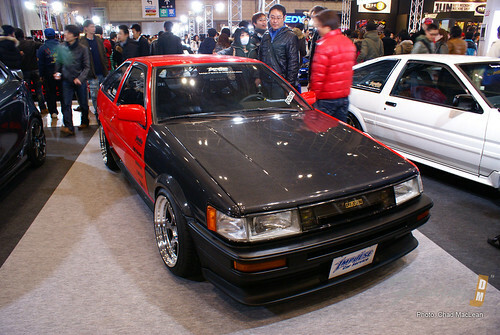 I was more interested in the more affordable and easier obtainable cars. 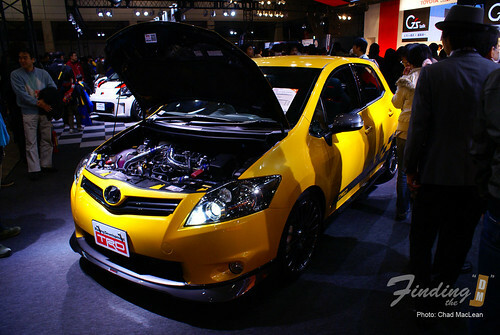 Well here are some photos from the show. 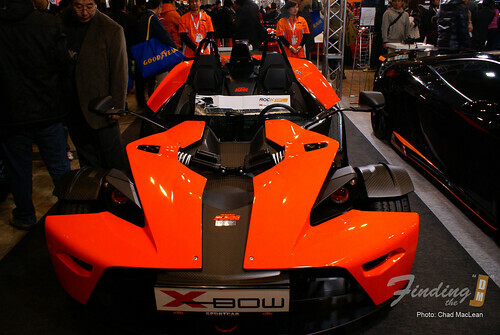 The T-Rex from Canada`s Campagna, fantastic ! 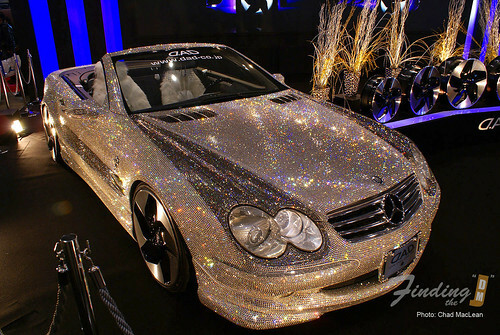 Something shiny if that`s what your into. 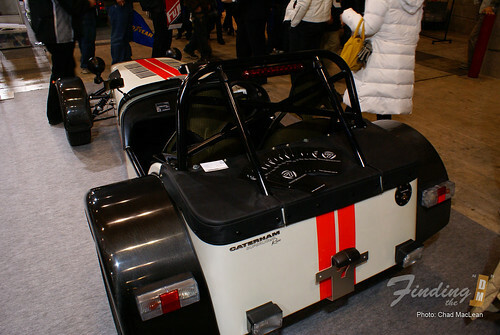 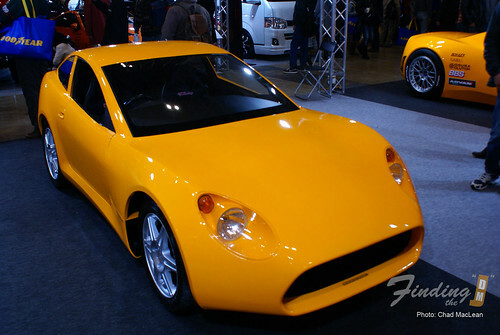 Concept from Boomerang built on a Suzuki Cappuccino chassis. 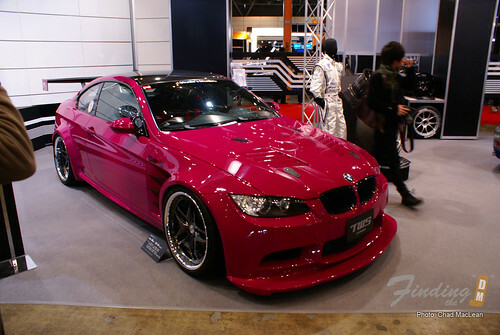 It`s a manly pink and yes I would surly drive this. 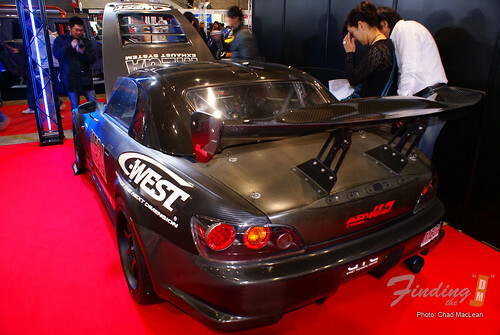 C West`s S2000 which I was told weighs only 900Kg. 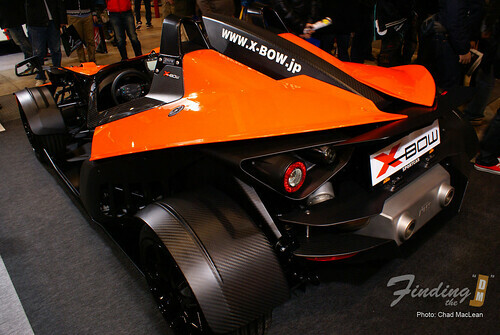 With that weight, the engine pulled back and lowered means this thing must be a load of fun to drive. 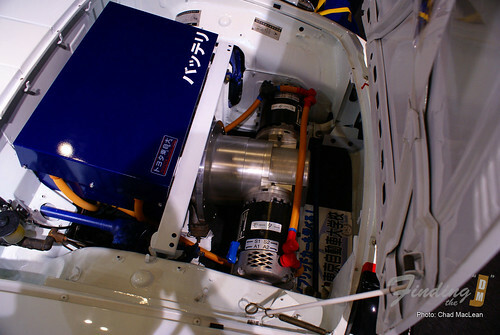 Engine hp couldn`t be confirmed by the rep unfortunately. 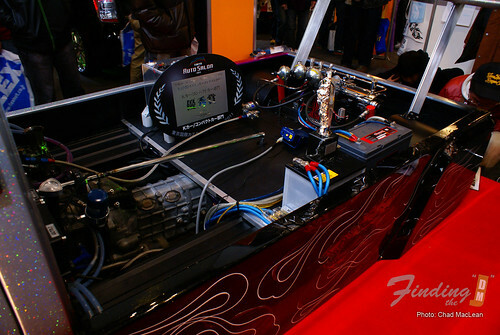 R32 Dragster putting out 800ps. 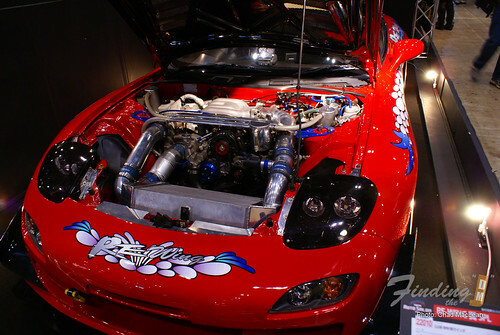 Featuring JUN`s 2.7L kit and cams, HKS F-Con, HKS TS1Rkai Turbo plus more. 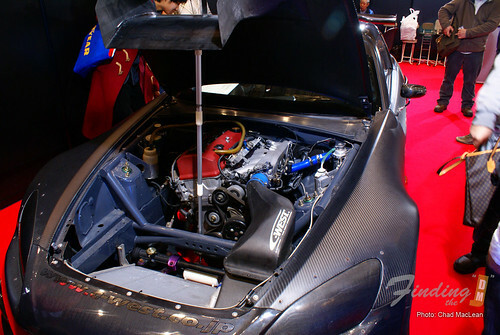 VeilSide`s 4509GTR kit on a 1993 Toyota Supra. 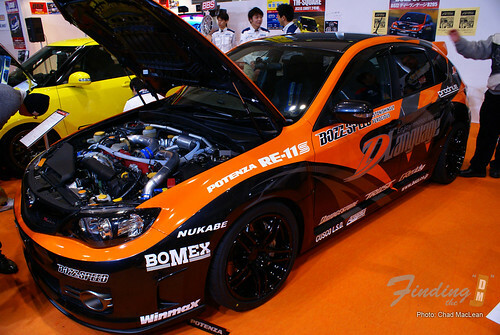 I still haven`t decided if I actually like the kit. 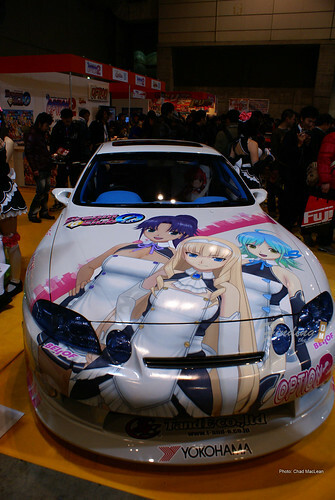 Seems to VIP for me but to each their own I guess. 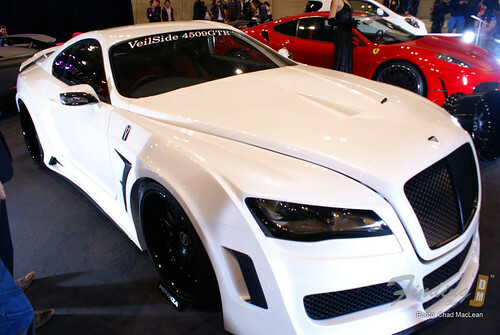 Though it`s not my taste its amazing how much they transformed the car. 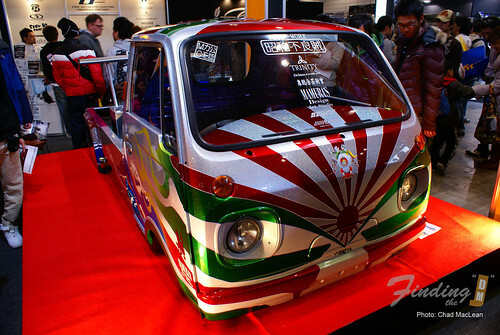 A sweet Nissan Crew BouSou Taxi (ぼうそう　タクシー)at the Drift Tengoku booth. 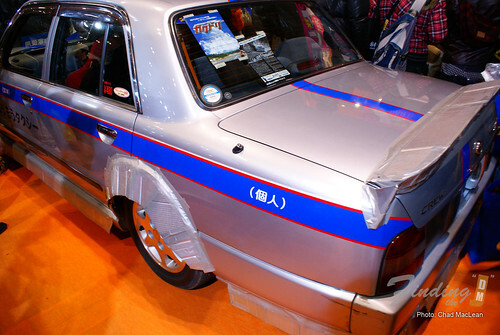 Complete with a cardboard / duct tape aero kit and automatic transmission. 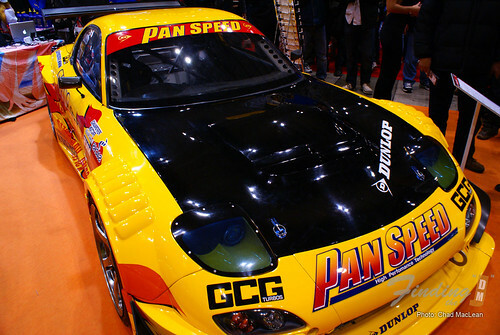 Drift missile at its finest…. 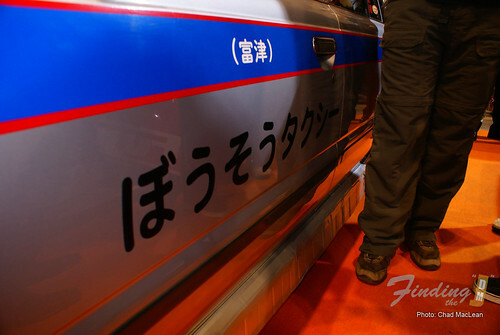 as long as it`s not driven in the rain. 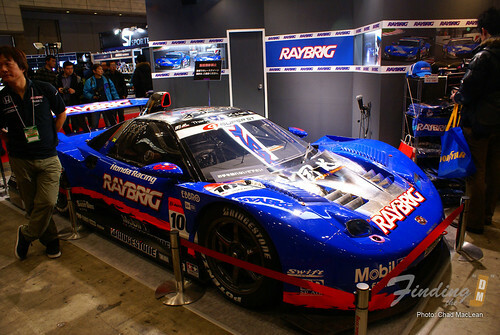 Definatly a must see, even if only once in your life.